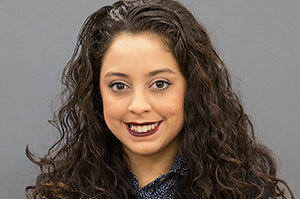 Amy Saldivar-Casteneda came to MCC already knowing what career she wanted to pursue – business education—but attending MCC allowed her to explore other options, make valuable connections and gain leadership skills. "McHenry County College allowed me to carve my path to success. This journey has not been an easy one, especially with being a first-generation student. McHenry County College provided me with the materials I needed when I was confused about my college journey. It has been a blessing to be able to have access to a great education close to home. Attending this college has allowed me to work up to three jobs at times, stay with my family, help my mom, and most importantly, has brought me one step closer to success. I am proud to be a part of the Scots family." Amy plans to earn her Associate in Arts degree this spring and transfer to Illinois State University in fall 2018, where she plans to major in business teacher education. She was selected to be a Golden Apple Scholar, which means she will spend her summers at different universities learning about current teaching standards and student needs. "I want to become a business teacher at the high school level. I hope to return to the high school that I graduated from—Cary-Grove. I hope to one day open up my own scholarship for first-generation students whose only obstacle is their financial status. I also want to start my own college pathway class at the high school, where students have time to learn about the process of applying and choosing the college that meets their needs. I hope to become a leader in the community and in the classroom." "I recommend MCC for anyone wanting to go to college but do not know where to start. MCC is a place where you can grow as a person. Although I knew what I wanted to major in, I had the time to put myself in the position where I could explore other options. As a Latina first- generation student, the staff and faculty at MCC made my transition into higher education rewarding and stress free. No matter what your position is, McHenry County College is a great place to begin or continue your higher education career." "One of my favorite memories at MCC was being able to intern with the Office of Marketing and Public Relations. Having a job on campus really allowed me to grow as a person; I was able to interact more with those within the campus and I gained connections, experiences, friends, and was provided with various opportunities. I also really liked having close connections with instructors." "Another positive thing that happened to me at MCC is that I met my future roommate for Illinois State. Aleksandra Zajac and I were in the same human biology course with Christen Louderman (best instructor ever!) in the fall of 2017. We are both first-generation students who are eager and nervous for what is to come, but McHenry County College will forever be the place that prepared us for our next step." "McHenry County College has taught be a few things that I will forever take into my future. One, is time management. Another is communication skills, which I mostly gained while at my job on campus. I feel that if I would have gone away to school first, I would have not been exceeding as much. The general education courses here are challenging and having that support and connection with instructors will be something that I will always thank for my success."